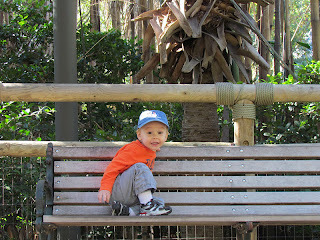 Last week Jason took a day off from work and treated Aidan to a day out. Just the two of them. 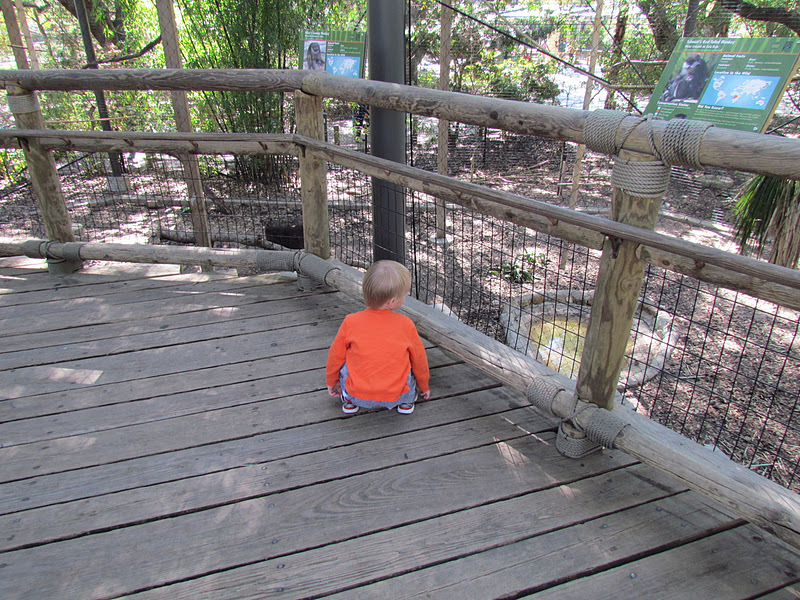 They took advantage of our membership and made a day of it at the zoo. 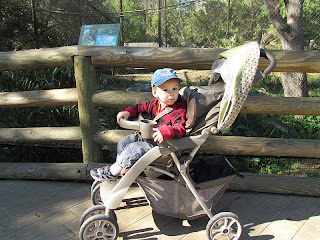 Aidan got to ride the zoo train for the FIRST time! 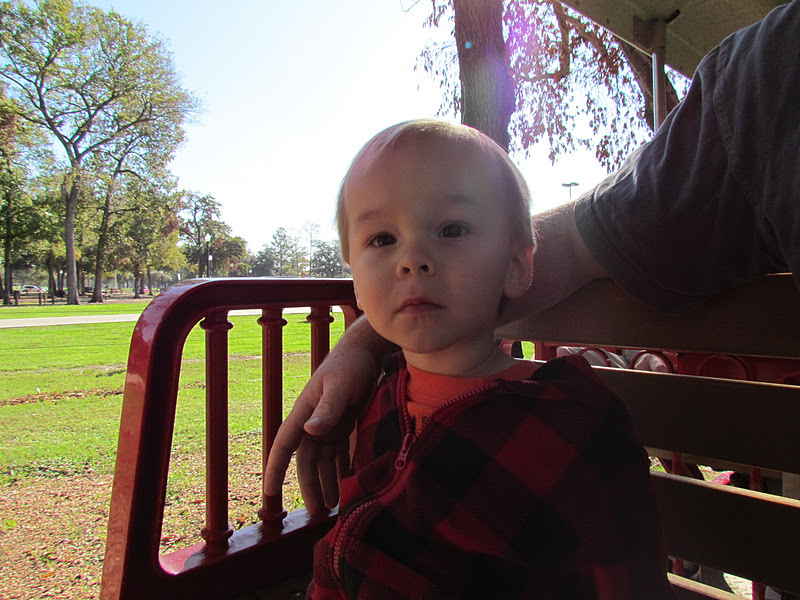 I take him there often, but we always forget to ride the train when we arrive and we're always too tired at the end of the day to endure the 20 minute ride around the park. 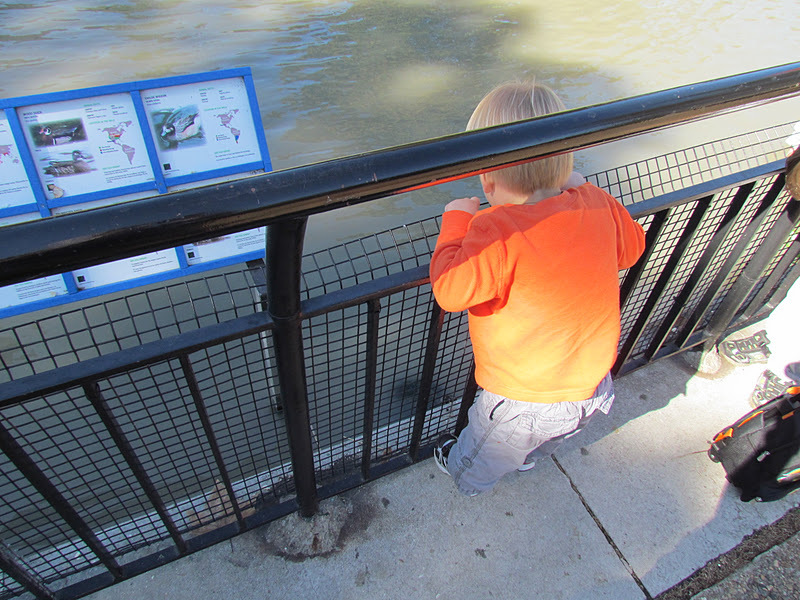 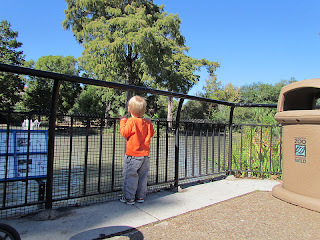 Once they were inside the zoo, they checked out some of the animals. 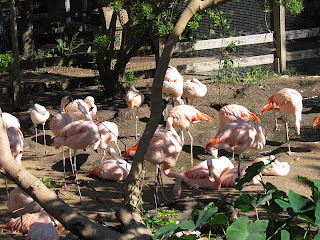 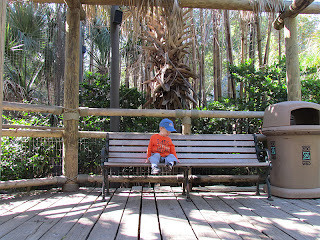 The monkeys were Aidan's favorite, although he really liked these flamingos, too. 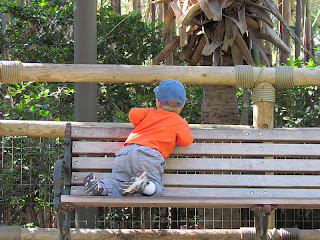 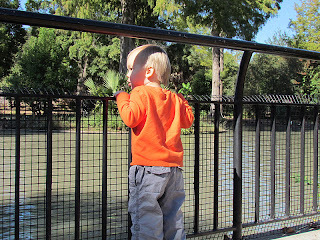 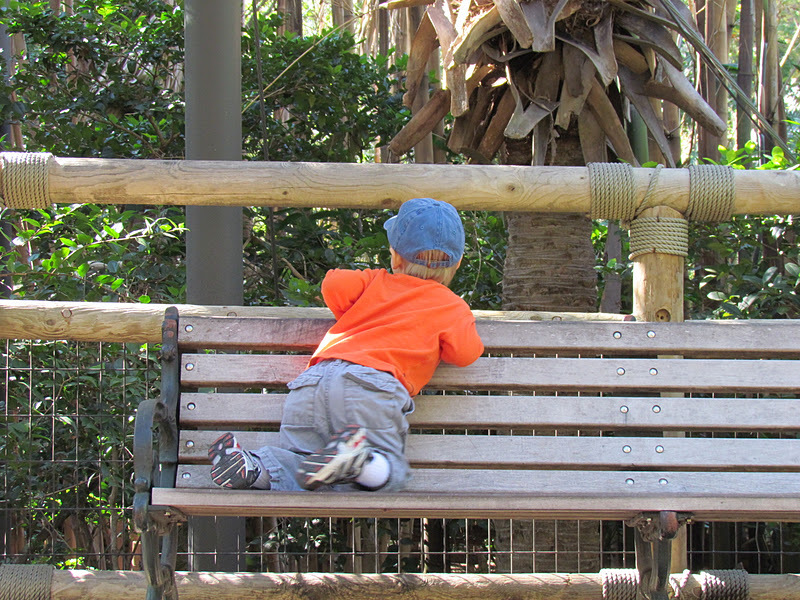 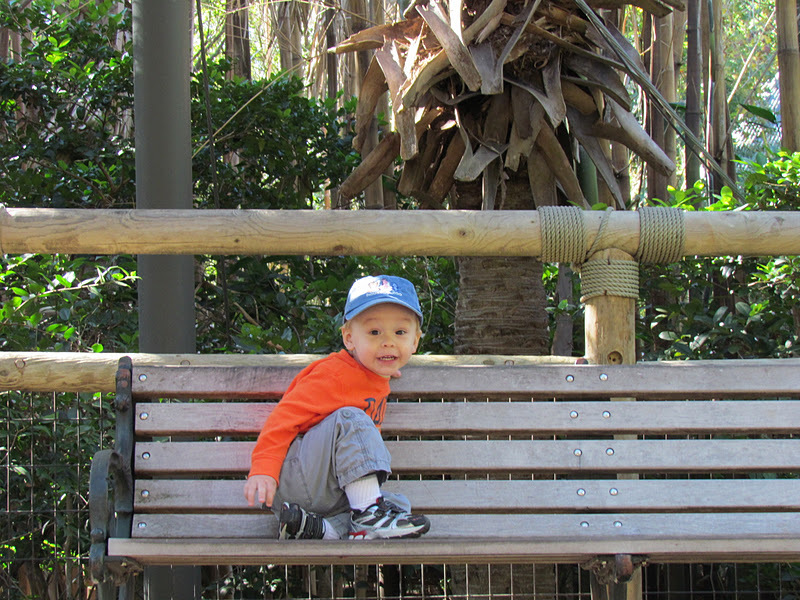 Daddy said that Aidan also enjoyed sitting on all of the benches. 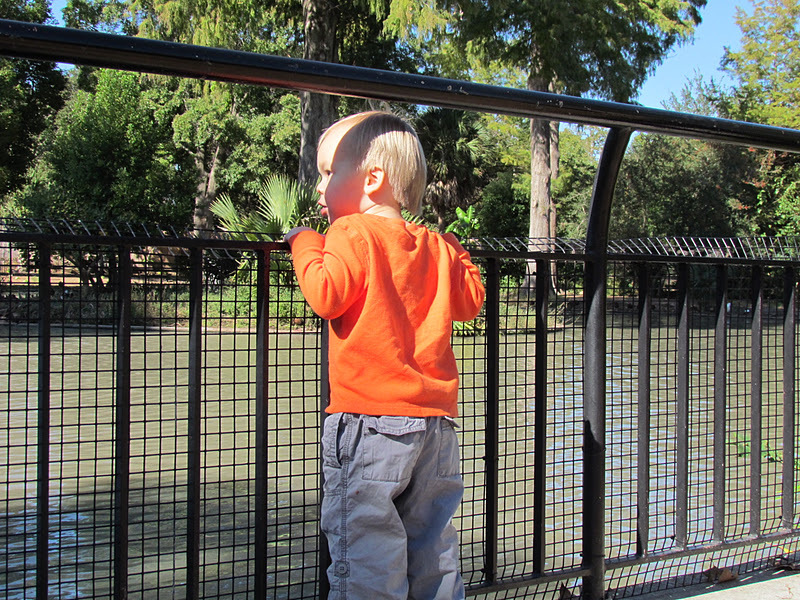 The duck lake was pretty cool, too! 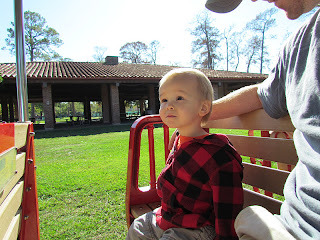 So great they got to spend a day together!